This amazing pH-correct leather cleaner is perfect for surface cleaning leather that has been deeply conditioned and cleaned with Rejuvenator Oil. It is used several days after the Rejuvenator Oil has brought the dirt and pollutants to the surface. 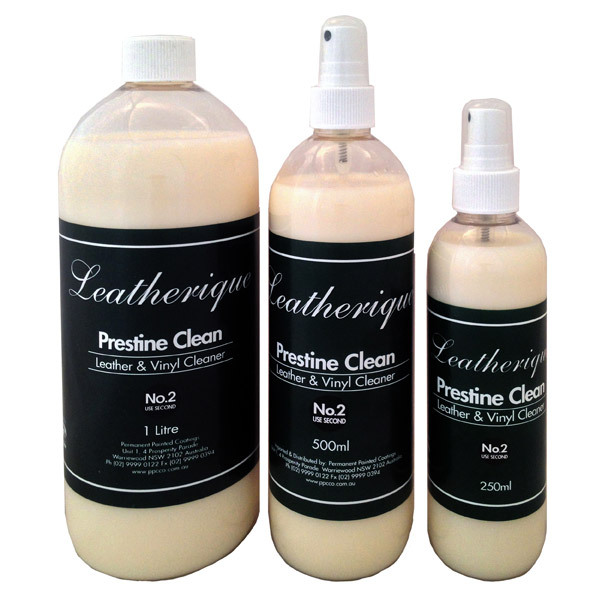 Leatherique Prestine Clean does not contain any harsh chemicals to dry and destroy fine leathers. Nor does it contain silicones. It leaves the surface with a low sheen, but not glossy, surface.